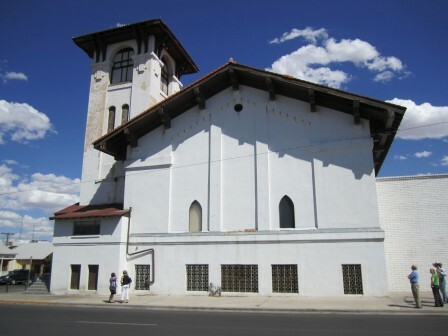 Listed on the National Register of Historic Places as a contributing property in the Rio Grande Avenue Historic District, the property represents the last Mission Revival style building in El Paso designed by architect Henry Trost. Its iconic tower is a mainstay in this neighborhood, which has already lost many of its residential properties for the parking lot sprawl required by “big box” churches. The building was constructed in 1910-1911 as a Presbyterian Church and later served as the sanctuary of the St. George Anthiochian Orthodox Church. The building has been seriously neglected, and the current owner acquired the property with the intent to raze the structure for parking.